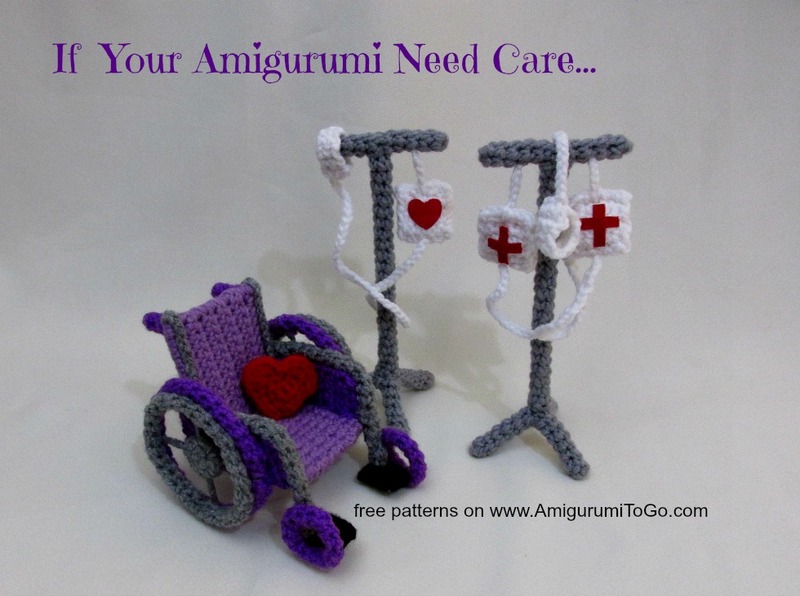 Crochet wheelchair with IV Drip Pole. There is a full video tutorial for the chair and pole. 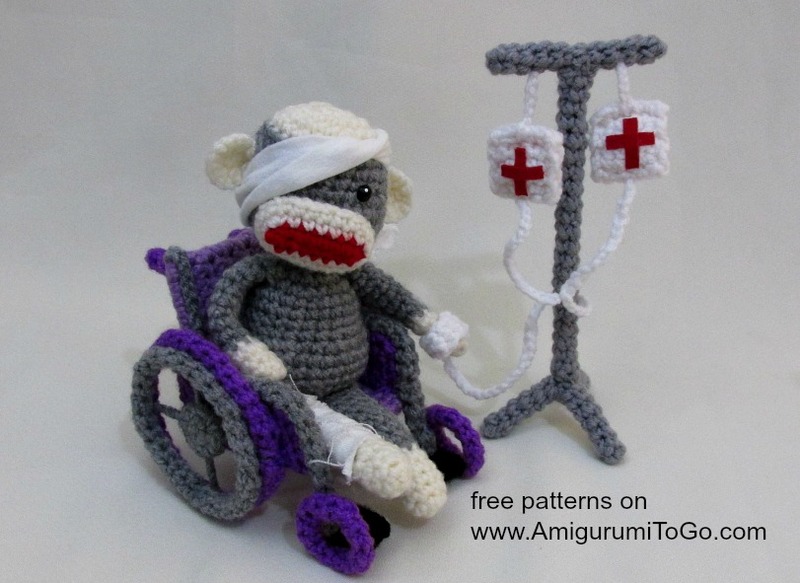 The sick sock monkey is about 6in tall.